Apple’s World Wide Developer’s Conference kicks off on Monday, with Steve Jobs giving the keynote address. Here’s a preview. This is the hottest item that many people have been eagerly awaiting. It’s Apple’s cloud system for distributing music, video and possibly other centralized resources (like photos and other user-uploaded files that once would’ve slid into iDisk in MobileMe), and it’s key to defining how Apple evolves into providing content as a service as well as being a code maker, hardware manufacturer, and front-end store for apps and video content. The industry will be watching, because how Apple maneuvers in the cloud market will set the scene for everyone else–particularly Amazon and Google, who’ve both launched their own cloud services offers already. Because Apple is said to have secured deals with music labels (and is pursuing TV and movie studio content deals too) it could offer a slightly better solution than its peers–the music deals alone may have cost Apple $150 million in licensing agreements. Apple users will be watching, because iCloud could change how they use their Macs, iPhones, and iPads. 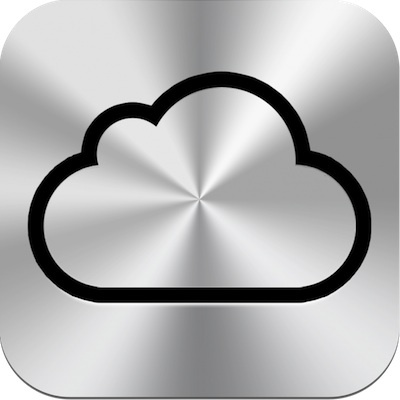 Rumors are now suggesting that iCloud will start as a free service, and may have a free limited-option tier permanently, but for the full service it may cost $25 a year. Is there another secret hidden in the iCloud? We’re not sure, but there may be–Apple could easily have dreamed up a novel use for its system that we can’t guess at yet. It could be another reason why Apple execs are said to be excitedly “giddy” right now. This is Apple’s next major upgrade to its operating system for Macs. It’s expected to incorporate user interface tweaks and integrated support for iCloud–to the point that purchasers of Lion may get reduced prices to access the cloud system. The improvements to OS X, which will certainly include streamlining, are centered on a UI inspired by Apple’s success with reinventing how users interact with computers in iOS. Though the two systems remain different for now, this convergence is key to Apple’s future hardware plans. Lion may be distributed through Apple’s new Mac App Store too, instead of on DVDs–a move indicative of how much Apple is embracing cloud services ideals. This is Apple’s prized possession at the moment–it’s how it reinvented the smartphone paradigm, and kicked off a whole new tablet computing one too. Improvements to iOS are vital to keep Apple’s offering in the competitive race with Android, and we’re expecting to see major improvements in the UI that include more advanced notifications (something Apple’s lagged on for a while) and possibly extras like voice synthesis and voice control. By glancing back through Apple’s patent applications, we may hope to see advanced navigation and location-aware services dotted into iOS 5 too–but it’s almost impossible to guess what extras Apple really has planned. We do think it’ll have integrated support for iCloud, that Twitter will be built in to it at some level (possibly pretty deeply) and that Apple will boost how its Mail app works–probably to make iPhones and iPads even more attractive to enterprise users. Will iOS include deep support for NFC systems in future iPhones and iPads? The jury is definitely out on this one–rumors have swung between yes and no, and there’s always the possibility that Apple could set up portions of the code early, before launching an iOS 5.x upgrade to actually activate it, meaning it needn’t show anything at WWDC. This is always anticipated, and has become almost as much of a Steve Jobs trademark as him saying “boom.” Will Apple surprise us all by revealing some fabulous new hardware, so secretly cloaked in its labs until now that not even one peep of data has leaked out? We’re doubting it, and Apple’s banners for the WWDC event are highlighting that the conference is all about OS X, iOS, and iCloud–code and clouds, in other words. It’s always possible Jobs will make a passing mention of an upgrade to MacBooks, such as Airs with Thunderbolt support, and there’re a few hints that the Time Capsule and Airport Extremes will get hardware refreshes to support iCloud. But we’re not expecting a reveal of the iPhone 5, as everything we’ve heard so far suggest that it’s coming later in the year. Update: Robert Scoble has reignited excitement about how Twitter may be integrated “deeply” into iOS 5. It’s possible that this move could add in a power social sharing angle to Apple’s iPhone and iPad devices, and could also significantly boost the standing of Twitter as a social platform–influencing its battle with Facebook. We also can’t help but ponder what this move would mean for Ping, Apple’s overlooked social network for music. Connecting iTunes to the cloud may already impact Ping in beneficial ways, but with deep Twitter integration in iOS and, presumably, iCloud, Ping could turn into a really useful tool for music discovery and sharing–because it could borrow user’s Twitter follower networks as a default. It’s possible that Apple may altogether replace Ping with a “share on Twitter” button in iTunes and the iPod app on iPhones, and taking shared music info from your Twitter network and bringing it back into iTunes on the desktop and iDevices. 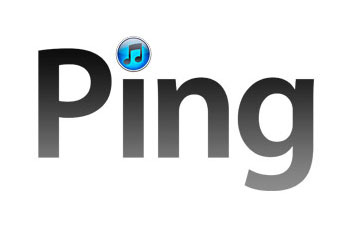 Ping had initial promise, but its planned integration with Facebook fell apart (for reasons not fully disclosed, although Steve Jobs said the protracted negotiations ended because of “onerous” terms) and this left it as something of an appendix among Apple’s otherwise promising iTunes developments. Which leaves us wondering–if Twitter is actually integrated into iOS, is it Apple’s response to Facebookphones, which use Android, and is it partly thanks to Facebook’s failed Ping maneuvering? Lots of speculation and rumor surfaced over the weekend. Photos emerged that just possibly hinted at the updated design of Apple’s notifications in iOS5–and it seems that Apple has actually hired a guy who designed slick notifications for a jailbroken iPhone app. DaringFireball’s John Gruber stepped up with his summary of today’s potential news, and ignited a huge debate about the nature of iCloud: “Don’t think of iCloud as the new MobileMe; think of iCloud as the new iTunes” he suggested. iCloud is all about how your phone and Mac syncs its data to the cloud–sharing content between your mobile devices and static PCs. For now, this is done via a Mac. iCloud, Gruber thinks, is all about moving this transaction to the cloud. Other rumors suggest that revamped Apple Time Capsules and Airport wireless systems will actually host your files, rather than Apple’s Data Center–a move that could side-step some legal issues, and let consumers keep ownership of their own data. Still more speculation suggests that for the first time iOS devices could update their core code over the air, rather than requiring tethering to a computer. It puts the tech more on a par with Android, and could help Apple control jailbreaking. Other rumors hint that updates to iOS apps could happen automatically in the background, while your device is notionally on standby–improving the user experience slightly. The keynote at the WWDC conference is set for 10AM Pacific time today, so we haven’t long to wait.